Is Fishing Fun? Yes, Always Fun! 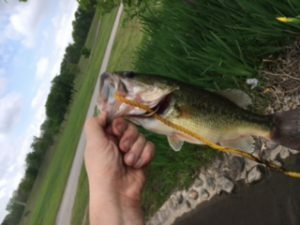 Places To Fish In Tulsa – Look What I Found! 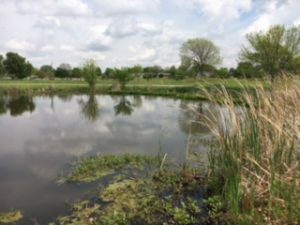 Hunter Park Pond – 91st street between Yale and Sheridan. I am venturing out this season to find great places to fish in my own town. I’m trying to take my kids fishing on a regular basis and I would like to stay close to home. I continue to look for local ponds and there are a lot if you just drive down riverside drive between Tulsa and Bixby. I caught a nice bass yesterday. Yesterday was my day off so I decided to try some fishing. I went over to Metcalf pond, it’s right off 11th street and highway 169. There are a few ponds in that area near Mingo river. Anyway, I just walked along the banks and fished with my favorite rooster tail spinner and just a few minutes after I got there, I caught myself a nice bass. There are also crappie and catfish in the lake, so I plan on returning soon with my kids. I found some sunfish across the street. There is another pond across 11th street and there was no one fishing there so I thought I would try it out. I spent a couple hours over there. I tried several casts with my spinners and I wasn’t catching anything. 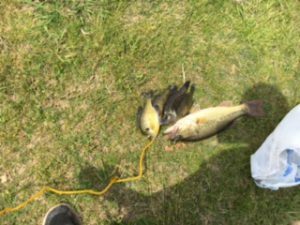 So I tried some worms and I caught a crappie and 3 sunfish. Not a bad day. If you are in the Tulsa area you should try out some of these little lakes. You won’t be disappointed. Drop me a line and let me know of any good fishing places you have found in Tulsa or surrounding areas.